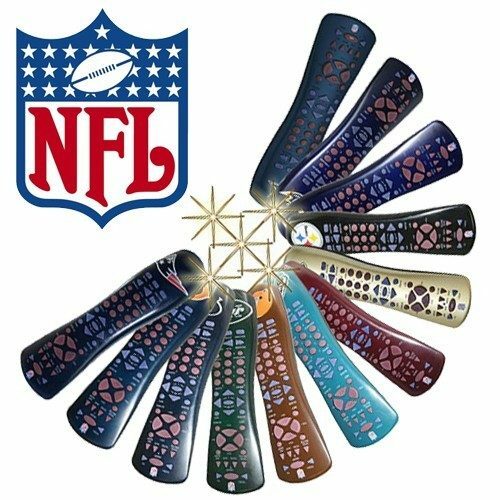 NFL Team Universal Remote Just $4.99! Down From $30! Ships FREE! You are here: Home / Great Deals / NFL Team Universal Remote Just $4.99! Down From $30! Ships FREE! GearXS has this NFL Team Universal Remote on sale for $4.99 (Reg. $30)! Each iHip remote is customized with a team-colored case and a printed team logo on the front, so every time you reach for your remote, you’re making a big play for your team! Each remote controls up to six devices- including; TVs, VCRs, DVD players, CD players, cable/satellite boxes, and audio equipment; plus it’s compatible with most infrared remote controlled equipment manufactured after 1990!